The Lookout Trail is a little known trail that runs from the base of Mt Coot-tha at Russell Terrace in Chapel Hill, to the summit. 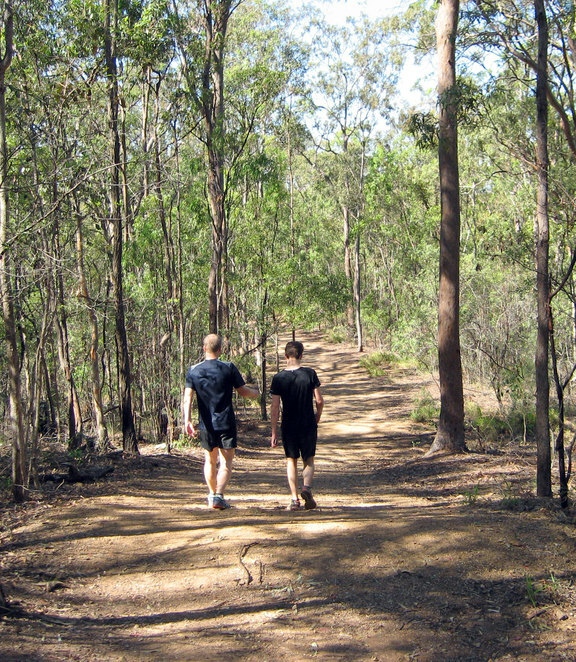 This wide fire trail 1.5 km trail makes a steep ascent up the mountain and is popular with anyone looking to exercise. 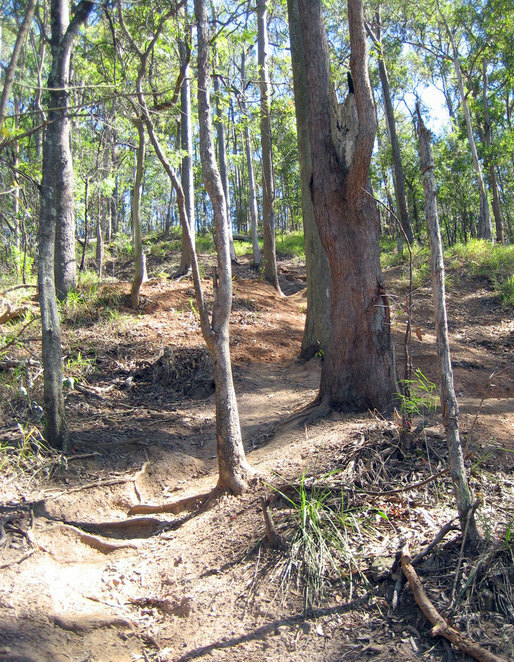 The are several ways up to the summit of Mt Coot-tha. 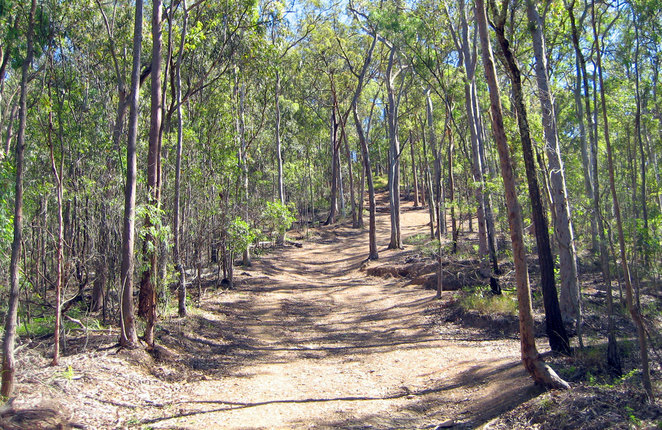 Most people will take the Honeyeater Track from Fleming Road in Chapel hill as part of the cross summit walk. However if you want something a little more challenging, then consider walking the Lookout Trail. 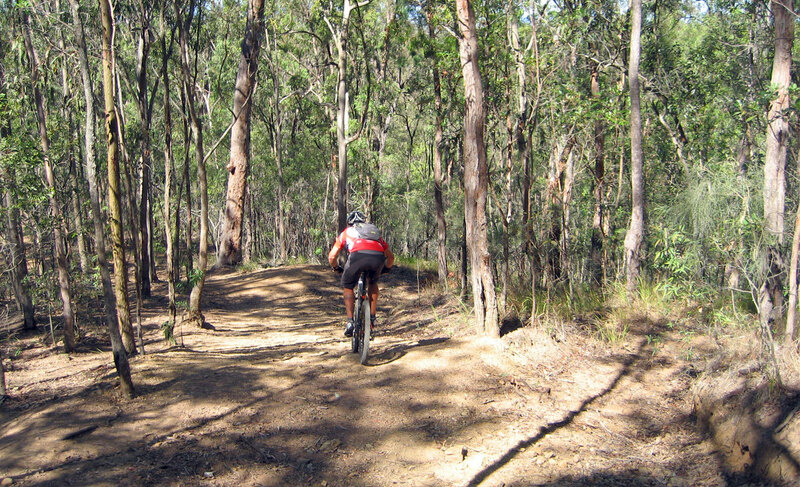 This is a muli-use trail which attracts walkers, trail runners and mountain bikes. Horse riders may be seen crossing the path while using one of the horse riding paths in the area. The walk starts at Russell Terrace opposite the Green Hill Reservoir and there are a couple of access points to the trail, with the main one being on the corner of Russell Terrace and Chapel Hill Road. From the summit the track starts in the car park to your right when facing the cafe and lookout. 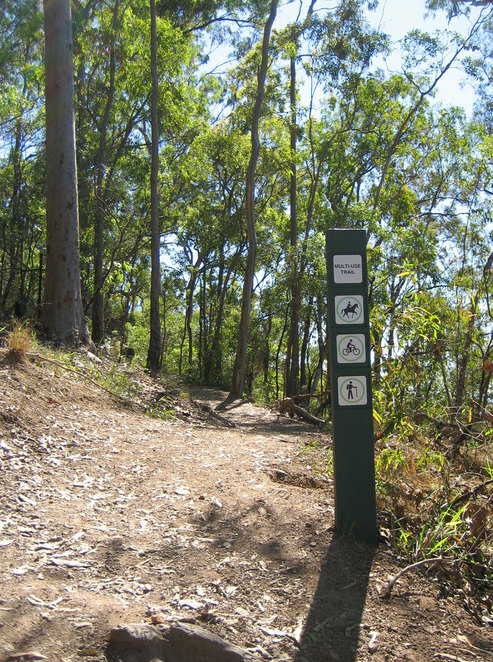 The top of the track is a narrow walking track, while the rest of the trail is a wider fire trail. 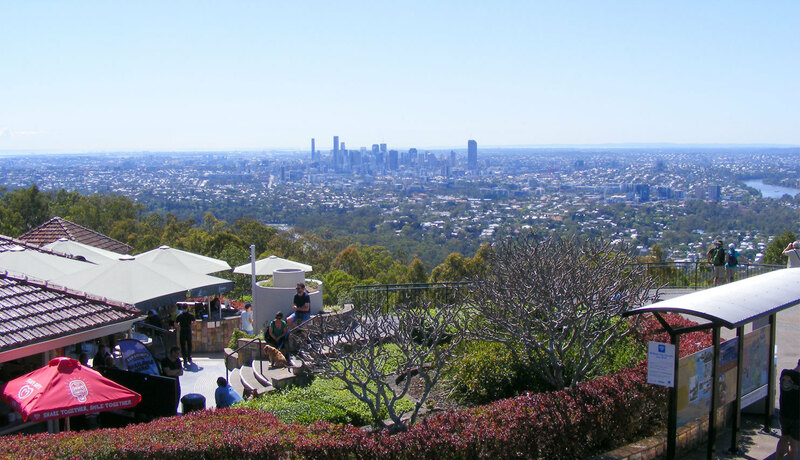 From the base of Mt Coot-tha, follow the path to your right and it will be generally flat until you arrive at a fork in the path. To your right will be the new Citriodora Trail that leads to the back of the Brisbane Botanic Gardens, while the trail to your left heads up the mountain. The last time I visited here there was a sign post with nothing written on it. With the current track upgrades and openings it is likely that there will be a sign here soon. The Lookout Trail heads up Mt Coot-tha, starting at a fairly shallow angle but gradually increasing as you get closer to the top. It is not a long walk, so take your time and rest as you need to as you go up. 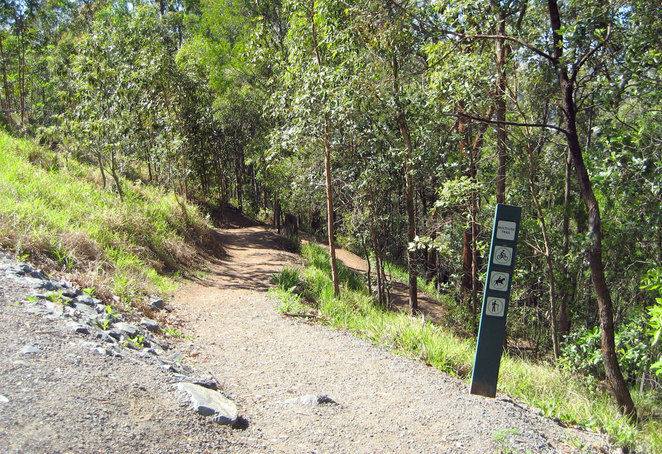 Near the top, as the track becomes steeper, you will see side paths where people have walked on the verge of the trail to avoid the slippery gravel. I would recommend this as well. RIght near the top you will find a multi-use trail marker on your right. While you can continue straight up the Lookout Trail, past this point, erosion has seriously damaged the walking track. However if you follow the multi-use trail to your right, then switch back to your left, you will arrive at the top with less scrambling and probably quicker too. Of course arriving at the top you have the view and the Kuta Cafe which is famous for its slow service, good coffee and reasonably priced ice cream. Relax here for a while before heading back down. Oh, and yes, there are other paths down and a bus that goes to the city. For people looking to get hiking fit, the Lookout Trail is one of the best ways up Mt Coot-tha. For mountain bikers, it is one of the most fun ways down the mountain for anyone looking to avoid the road. Roy, your article sure brings back memories - a few years ago while training for Oxfam - the 100km hike - we used to do this trail every Tuesday night to get our night vision organised. Came across many creepy crawlies there at night - a hectic uphill!